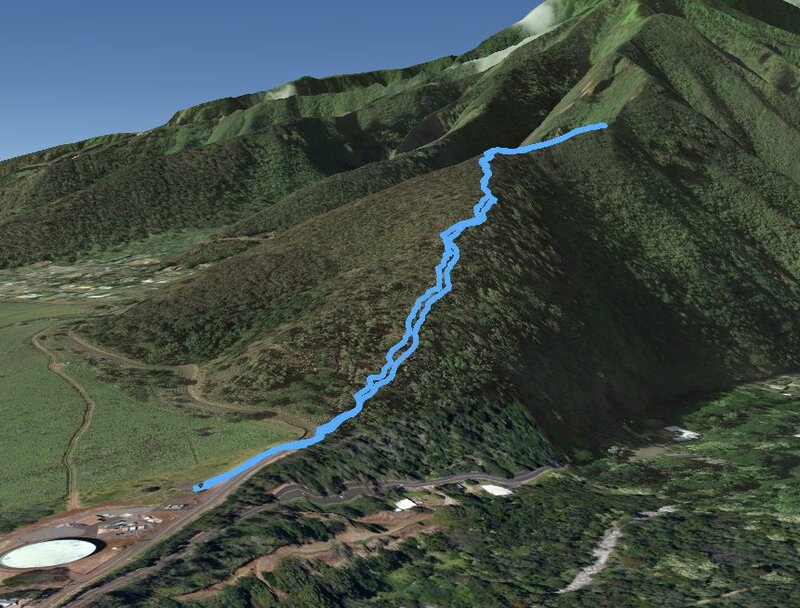 Car Shuttle Req'd: No Parking Directions: Take Highway 30 north toward Wailuku. 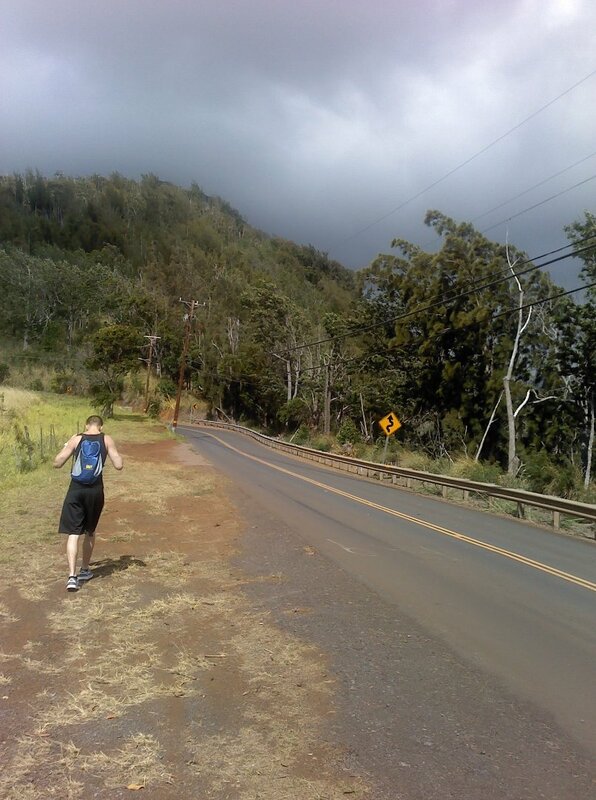 At the intersection of Main Street, turn left following the signs to Iao Valley. 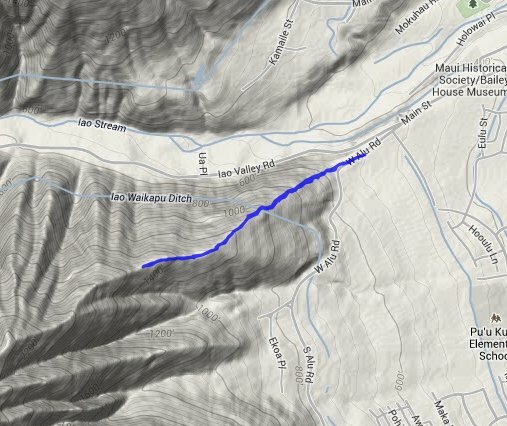 Stay on Main Street past the Iao Valley turnoff to the right. The road you are on now turns into W Alu Road. Continue on this for a little over 1/10 of a mile and park on the side of the road just past the water tower on your left. 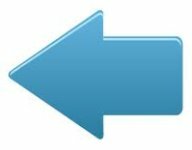 Walk along the road the way you were driving, and in exactly 1/10 of a mile the road will bend sharply to the left. The trailhead is here at the bend. Take the use trail from this point up to the cross. 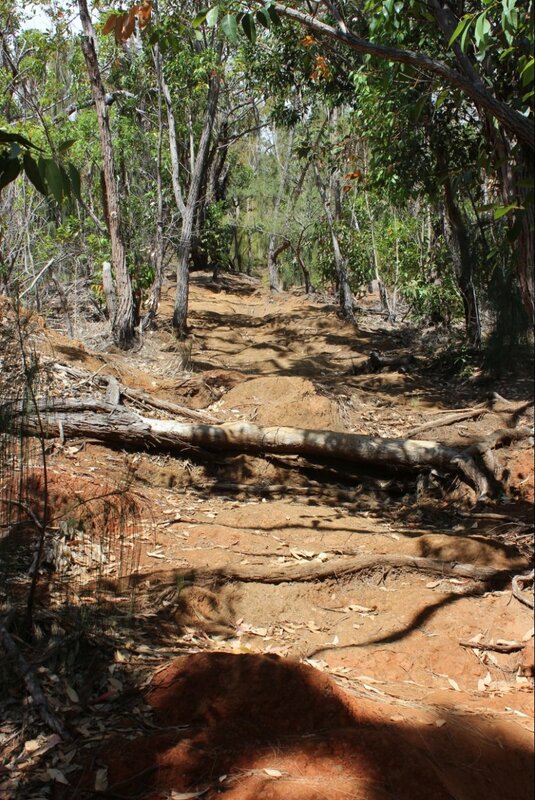 Hazards of Note: Very steep use trail. Crowd Factor: Negligible. We encountered nobody on this very steep trail. 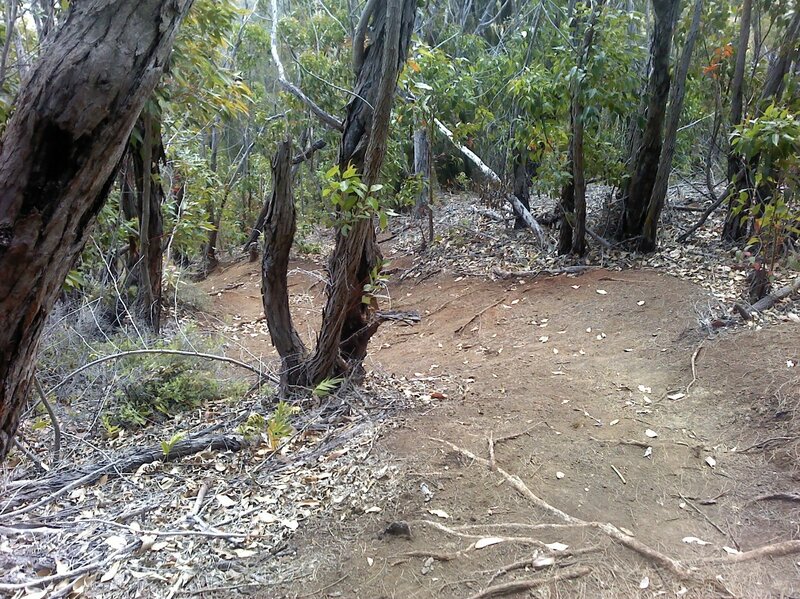 This is a use trail, and as such it is very steep and just runs straight up the spine of the mountain here toward the cross. If wet or rainy, this might be a very challenging adventure to get to this destination. 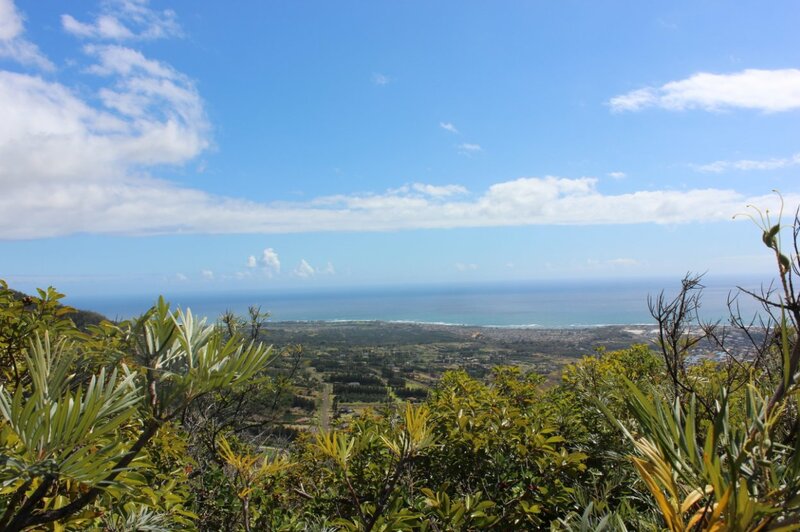 There are great views back down into Wailuku and Kahului all along the trail, when it is not covered by the many trees along the way. Bring lots of water as none is available on the trail and it is very hot. The trail continues on past the cross for about another half mile, stopping at a bench which has been placed with great views on a clear day up into Iao Valley and the mountain behind it, Pu'u Kukui. Tristan making his way from our parking to the trailhead. What the path mostly looks like on the way -- pretty much just UP! 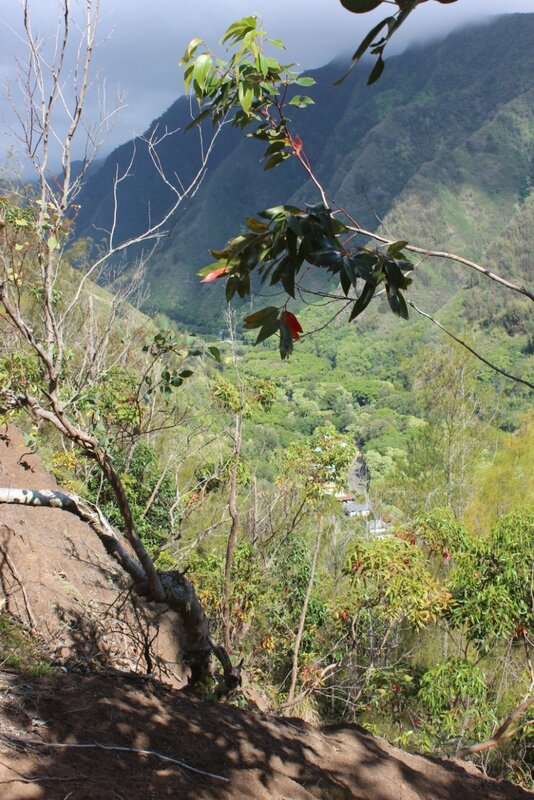 Looking into the Iao Valley from early on the climb. 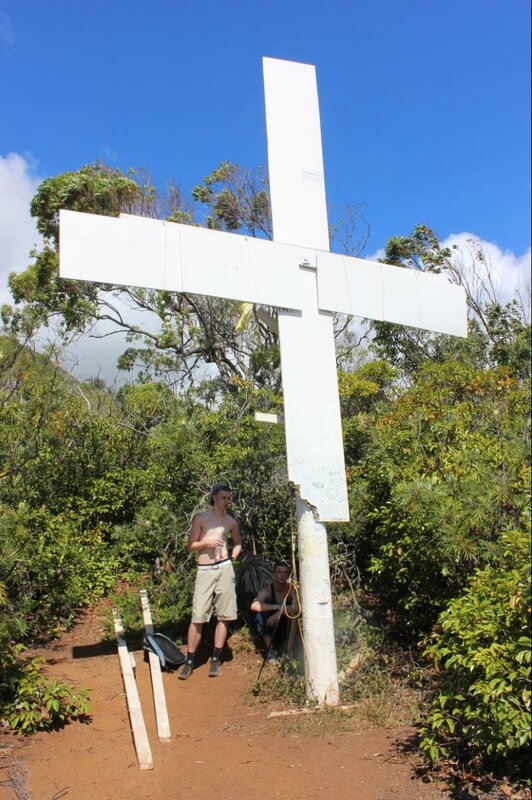 The cross visible from far below in Wailuku. Hauled up long ago by a school group. 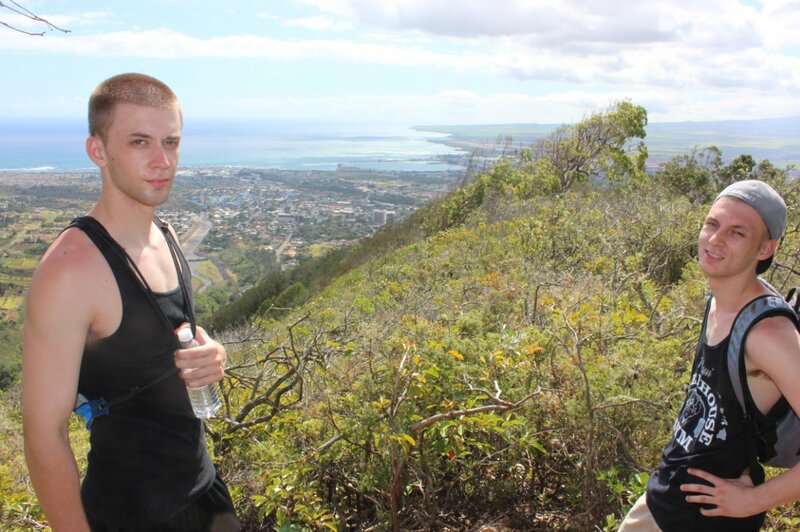 View of the town of Kahului from the cross. Dustin and Tristan posing at the cross location. 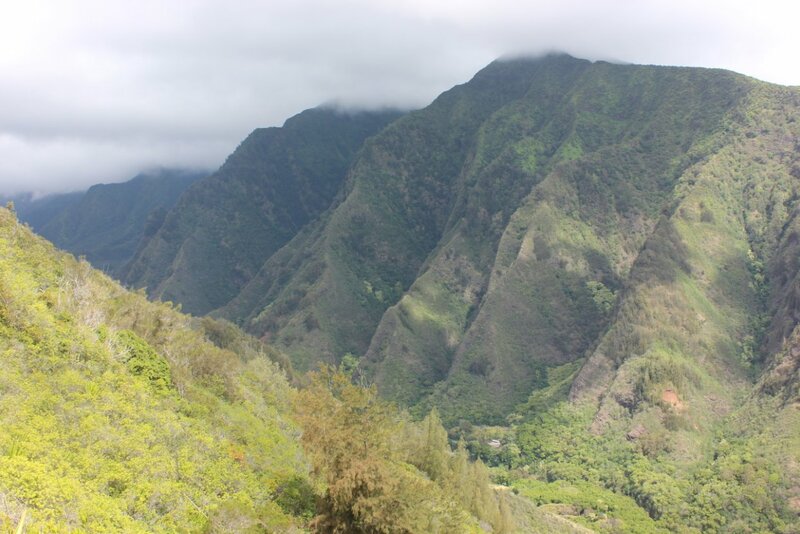 Great views into the Iao Valley from way up the mountain. Heading back down the very steep trail.